All workshops are on Thursdays at 11:40 a.m. in Uris Hall 498 unless otherwise noted. Sho-Chieh Tsiang, a world renowned authority in macroeconomics, monetary theory and international finance, was a Professor of Economics at Cornell University from 1969 until his retirement and elevation to Emeritus status in 1985. Born to a diplomatic family in Shanghai in 1918, he studied economics first at Keio University in Japan, and then at the London School of Economics where he earned B.Sc. in 1941 and, in 1945, Doctor of Science and Doctor of Philosophy degrees. His dissertation under Hayek won him LSE’s biennial Hutchinson Medal thesis prize. He taught at the National Peking University, 1946-48 and the National Taiwan University in the 1948-1949 academic year. He joined the research staff of the International Monetary Fund in 1949, where he remained until departing for upstate New York in 1960, taking a professorship at the University of Rochester. Recruited by T.C. Liu, he arrived at Cornell in 1969. Subsequently, he was the founding President of both the Taiwan Institute of Economic Research and the Chung-Hua Institution for Economic Research. He was married to Hsi-Tsin Tsiang for 46 years, whose talents and personality brightened the social life of the Economics Department. Together they had three daughters, Katherine, Christina, and Grace. 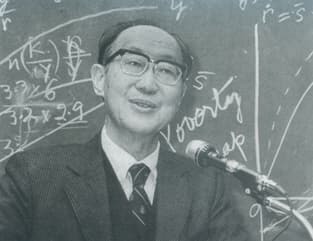 Early in his career, Professor Tsiang was a critic of Keynes’ liquidity-preference theory of money. Subsequently he showed how the liquidity-preference theory could be replaced with a then more conventional loanable-funds theory, and applied it to theories of the balance of payments. This was not just a theoretical exercise. In a later paper he demonstrates that Keynesian policies were a disaster for developing countries, and how Taiwan’s economic success was due in part to its Robinsonian monetary policies. He also produced an early statement of the relation between spot and forward exchange rates. A different research program began with a criticism of Lange and Patinkin’s Walrasian version of Keynes’ monetary theory. He developed a money-as-medium-of-exchange constraint as did Clower, but unlike Clower, Tsiang integrated borrowing and lending into a dynamic “finance constraint”. Subsequently he applied this theory to the balance of payments. Perhaps even more important, however, was his work with T. C. Liu on tax reform and reform of exchange rate and interest rate policies in Taiwan. Their success in convincing successive governments to adopt low-tax, export-led development policies helped to turn Taiwan into an economic powerhouse. As an acknowledged leader in development policy, he was invited to Chile, Mexico, Switzerland, Japan, Korea, and China to discuss his views. He is the author of one book and more than fifty scholarly articles in his field. During his illustrious career, he was a Visiting Lecturer at Johns Hopkins University; a member of Academia Sinica; the Rockefeller Visiting Professor of the University of the Philippines; a Visiting Fellow of Nuffield College, Oxford University; and a Visiting Lecturer of Keio University. He served on the Editorial Board of the American Economic Review, 1974-76; and was a Guggenheim Foundation Fellow in 1966-67. “Note on Speculation and Income Stability.” Economica 10 (1943), pp. 286–296. “Liquidity Preference and Loanable Funds Theories, Multiplier and Velocity Analysis: A synthesis.” American Economic Review 46 (1956), pp. 539–64. “The Theory of Forward Exchange and Effects of Government Intervention on the Forward Exchange Market.” Staff Papers (International Monetary Fund) 7 (1959), pp. 75–106. “Walras’s Law, Say’s Law and Liquidity Preference in General Equilibrium Analysis.” International Economic Review 7 (1966), pp. 329–345. “The Rationale of Mean-Standard Deviation Analysis, Skewness Preference and the Demand for Money.” American Economic Review 62 (1972), pp. 354–71. “Fashions and Misconceptions in Monetary Theory and Their Influences on Financial and Banking Practices.” Zeitschrift für die Gesammte Staatswissenschaft 135 (1979), pp. 583–604. “Keynes’s ‘Finance’ Demand for Liquidity, Robertson’s Loanable Funds Theory, and Friedman’s Monetarism.” Quarterly Journal of Economics 94 (1980), pp. 467– 91. “Stock or Portfolio Approach to Monetary Theory and the Neo-Keynesian School of James Tobin.” IHS Journal 6 (1982), pp. 149–71. "Taiwan's Economic Miracle; Lessons in Economic Development" in World Economic Growth; Case Studies of Developed and Developing Nations, Arnold C. Harberger, ed., Institute for Contemporary Studies, San Francisco, CA. (1984), pp. 301-326. "Trade policy and economic development: How we learn." Anne O Krueger. The American Economic Review 84 (Mar 1997), Issue 1, pp.1-22.